Socialize Up now available on Android. 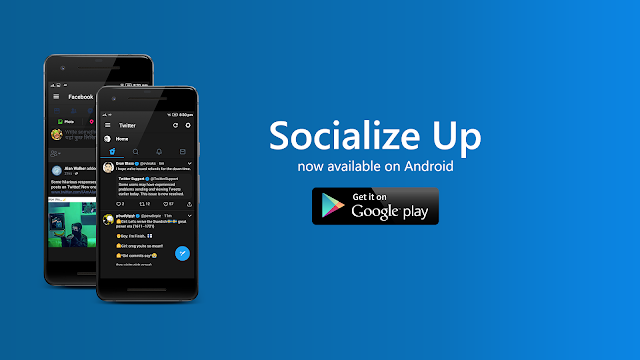 I am very thrilled to announce that Socialize Up is finally available to download on Android. I have been working on it for some time and now I feel pretty good to say that it is ready for release. It is still an early release, I am planning on releasing many new features over the period. As I am still learning Android App Development from scratch, so it might take some time but I am pretty excited to learn and add new features in the app. Don't there is also a Light Mode too. You can choose whatever theme you want. Still working on updated the Dark Mode UI. 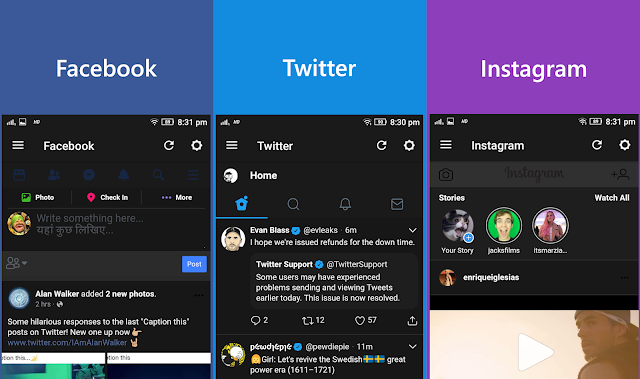 Beside Facebook, Twitter and Instagram, Reddit is also available in the app. Planning on adding more services too. There is really not much settings available in app right now, I will be adding more settings but you can choose the Default Start Up page for now.